We have finally reached the X Factor final and apparently we should expect something pretty spectacular on the show this weekend. On Sunday night, either Matt Terry, Saara Aalto or 5 After Midnight will be crowned the X Factor winner of 2016, but not before they put on the performance of a lifetime. Creative Director of the X Factor, Brian Friedman, has revealed that the last live show of the series is set to be “huge”. Speaking on ITV’s Lorraine, he confessed: “It’s going to be just huge. Brian also discussed the celebrity guest performers that will be appearing on the programme, admitting that it will be these final duets that separate the weak from the strong. He said: “It’s all about the duets because they get to sing with someone in the game. 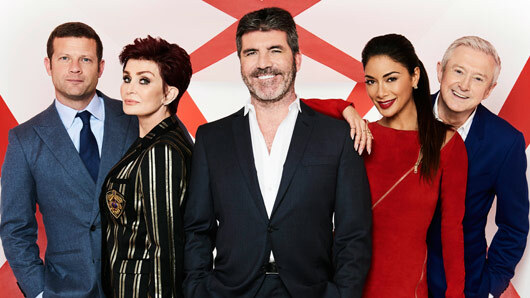 The X Factor final will be airing live from Wembley this weekend, at the impressive SSE Arena. As if that wasn’t enough pressure, the final three contestants will be expected to deliver both a solo song and a duet performance to save themselves from elimination. On Sunday night the last two standing will go head to head, with both acts finally unveiling their potential winner’s song in a last attempt to fight for the crown. The lines will then close before the winner is confirmed. It’ll be a seriously tense final and one of the closest races we’ve had on the X Factor in some years. All three of the final acts have both managed to top the vote and appear in the bottom two on more than one occasion over the last nine weeks, so it is difficult to call who will come out on top for the final. We guess it will come down to their performances on the night!